Even though a great number of businesses are moving towards the internet, many still rely solely on traditional marketing. A business sign is perhaps the oldest and foremost piece of marketing material. It helps customers know where you are and what you are. But what good is a sign if it’s not visible? Making your business sign visible to potential customers is just as important as creating a compelling and unique sign. A sign should also be ideally placed and must be visible under certain conditions. Illuminated signs are the best way to give your storefront a “pop.” It’s flashy – literally – but fulfills the purpose of providing visibility during the night and under certain weather conditions. Here are some points to consider when choosing between different illumination signs. LED or Neon: Which One Is Better? On the surface, both LED and Neon signs are illuminated signs. They both “glow.” But, they are, in fact, different in construction and how they achieve their luminance. Although there are multiple ways to light a sign-up, LED-based signs are the most widely used option. They are cheaper, consume less power than traditional fluorescent bulbs, and go with just about any type of signage. Neon signs, on the other hand, are produced by gasses trapped in the sign. Electricity passing through excites the gas molecules, causing them to produce luminance. It takes special expertise to craft neon signs. 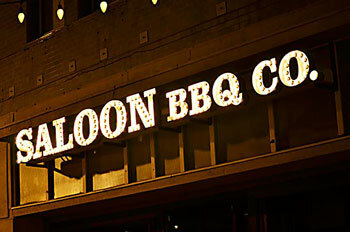 But, over the years, LEDs have replaced neon signs because they are cheaper to maintain, and are eco-friendly. However, neon signs are resurfacing as a representation of the vintage era. Just visit Las Vegas – you’ll see hundreds of them. LEDs are powerful and cost-effective, and are used to light all types of signage, such as Chanel Letters and lower cost lightbox. It comes down to your preference. LED illumination is powerful enough to provide visibility under several conditions, but neon signs may serve better if you’re seeking to pair with a theme. 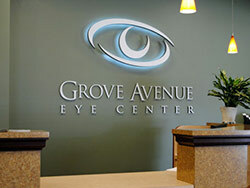 From lightboxes to high-end channel letter and neon signs, Dave Signs delivers all types of illuminated signs. Give us a call, or reach out to us online and our team of experts will help you determine which type of illumination is best suited for your business.